Arran looked like the kind of whisky I’d like from the reviews but I hadn’t tried any until they released and I bought the Devil’s Punchbowl 2. This sold out in about 20 minutes, I didn't really have chance to taste it before taking the plunge. I thought it was (think it is) excellent but the power of the blind tasting (remove marketing, experience the whisky naked) showed it up against its peers, particularly (and gallingly) the Devil’s Punchbowl 1. On the back of that purchase I also went for the Whisky Club’s exclusive 15 year old bottling, which is stunning. Armed with these two I thought I’d go for the vertical with the Whisky Tasting Club’s Arran tasting (http://www.thewhiskytastingclub.co.uk/Arran.php) which also has the now (of course) unavailable DP1. Released in 2010, the 14 year old replaced the previous 12 year old expression and is the oldest Arran available to date. It was finished in fresh bourbon (two-thirds into American oak and one-third into European oak) and sherry casks 2 years before it was bottled. In the long terrm, Arran is planning a core range of 10, 14 and 18 year old expressions, but we will have to wait until 2014 for the 18 year old. Its more complex than the 10 year old, but definitely from a common base. Body – Complicated but young. Lemon oak and biscuity. Briny. Note - the 16 year old is already available. Nose – Zesty, sweet, lemon sherbet and sandalwood but with a dodgy burnt onion edge. Better with water. Body – Sweet, gentle, interesting, more lemon and finally some oak and sherry, brine and olive brine. Some fizz and a bitter edge. Finish – Hot, balanced, very long and ending with distinct sechuan pepper fizz. Bitter finish with oddly savoury characteristic. 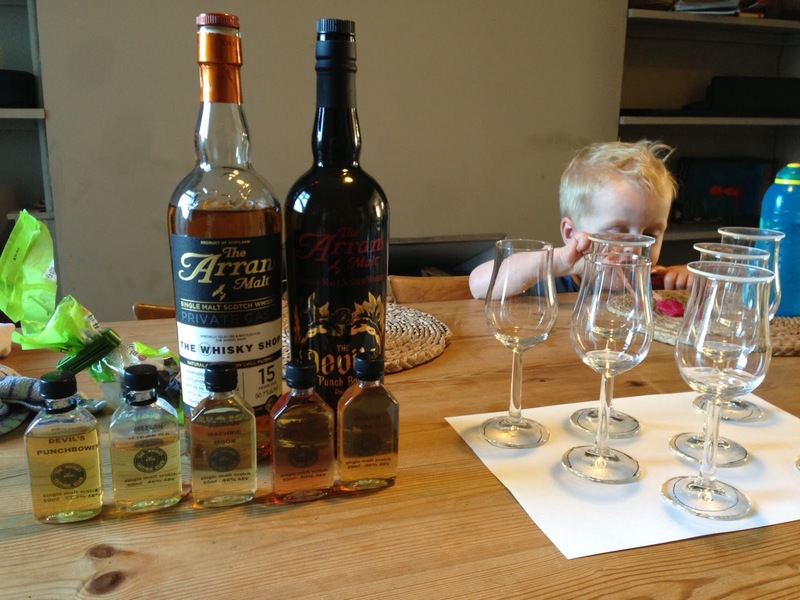 Arran have experimented with a huge range of finishes, including port, champagne, various dry and sweet wines and rum. Like all true experimentation, there have been hits and misses. We think the Amarone is a definite hit. Amarone della Valpolicella is an Italian full bodied dry red wine and this Arran has definitely benefited from a few months in an Amarone cask, although it has turned it a rather unusual pink! Nose – Typical Arran nose of lemon sherbet, and with a grape note. Quite well balanced for it, pretty good. Body – Delightful sweet, gentle and without the fire. Less of the bitterness. Finish – Bitter note is curtailed and given a rounded oak finish. Refreshing and interesting. This Machrie Moor expression is unusual for Arran, in that it is peated. Machrie Moor, on the west coast of the island, is an area of moorland with a plethora of Bronze Age stone circles. One of the stone circles is known as Fingal's Cauldron Seat, where sits a stone with a carved hole. The legendary warrior giant Fingal is said to have tethered his favourite dog Bran to this stone, hence the label. Nose – Faint zest and malt, honeyed and delicately floral. Subtle but beautiful, savoury. Body – Biscuity, balanced, subtle and refined, sweet and refreshing. Beautiful, subtle peat body. Finish – Medium short finish which returns later on for a wave of briney oak. Very refined. Peat finale. Nose – Full, sweet, sherried heavy hitter, with plum and frangipane, lemon and watery oak. Biney/maritime,hint of acetone, dried pineapple. Stunning. Body – Sweet, vanilla and toffee, malt and oak. Beautiful and powerful. Finish – Long but let down by a bitter edge to the finish. Would have been an A⊕ otherwise. Launched in 2006, the ten year old is Arran's entry level malt whisky. Unchillfiltered and bottled at 46%, it is a mixture of whisky from bourbon and sherry casks. This typifies the distillery taste profile, it is light and fruity, but also packs a punch. Nose – Gentle, bitter, toasted, interesting. Body – Sweet, structured, bold and bright but typical Arran presentation. Finish – Better balance to the bitterness, medium finish. The Devil's punchbowl is a 2012 limited release of 6660 bottles inspired by the glacial hollow Coire na Ciche whose sinister presence dominates the north-east coast of Arran. It is a vatting of 24 casks hand picked by Arran’s distillery manager James MacTaggart. He says "I have selected the casks for the Devil’s Punch Bowl with a view to creating a special release of The Arran Malt where the sum is even greater than the wonderful parts. The Sherry Butts act like the rhythm section of a band; setting the tone and driving the character of the malt. Deep in colour and rich on the palate these casks are the heartbeat of this whisky. The 1996 Bourbon Barrels add a wonderful honeyed sweetness to proceedings whilst the Sherry Hogsheads imbue a perfect harmony of aroma and flavour. As a unique twist I have added some of our 2006 Peated Arran, in combination with regular un-peated Arran for the very first time, giving the finish a subtle smoky edge. They say the Devil has all the best tunes but here he has the perfect whisky too". 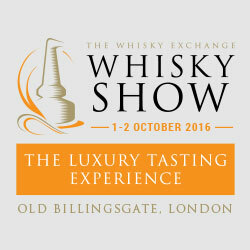 Nose – More polite than the Whisky Shop exclusive 15 yo but with the same frangipane and plum notes. Butterscotch and lemon. Beautiful. Loads of toffee and burnt toast. Body – Creamy and zesty, very well balanced. Delightful. Finish – Creamy finish with well presented and balanced oak. No bitterness. The DP1 is the clear winner, annoyingly, since I can’t buy it anymore. The Whisky Shop private cask is fantastic with the nose and body but loses it in the finish sadly. The Machrie Moor and 14yo are very good, with the latter very promising and well balanced. The whole range has a bitterness issue, which is offset by the fantastic nose and body. This was an interesting vertical with less variation that I was expecting but a consistently good set of results, Arran remain a firm favourite distillery for me.